Temperatures will be in the 90s and humidity will feel like it's 100 on Monday. A strong ridge of high pressure is bringing increasing heat and humidity to a majority of the eastern half of the country through the weekend. 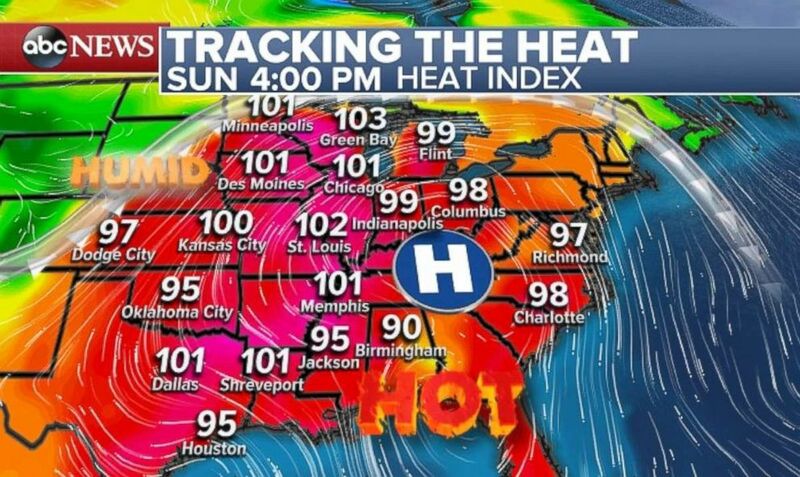 Heat advisories, excessive heat warnings and watches have been posted for parts of the Midwest, including Kansas City, St. Louis, Chicago and Minneapolis. 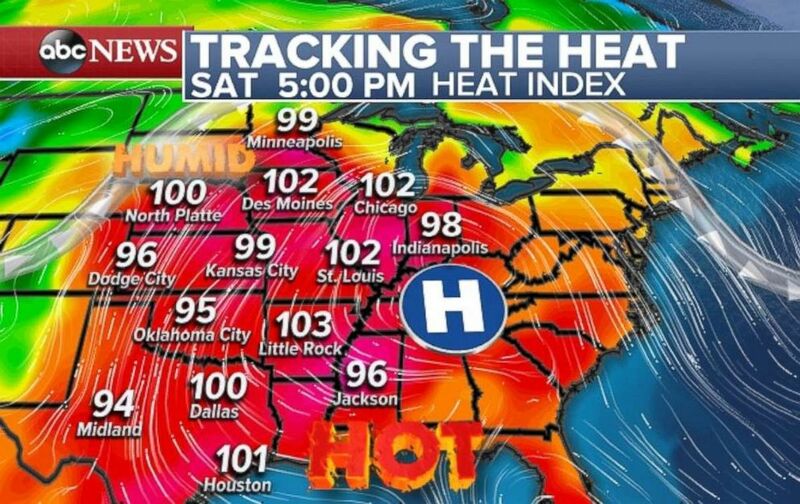 On Saturday afternoon, the heat index will exceed 100 degrees in cities like Little Rock, Arkansas; St. Louis, Chicago, Des Moines, Iowa; and North Platte, Nebraska. A couple of isolated daily records are possible today. (ABC News) Temperatures on Saturday will be a prelude to even hotter readings as the next week begins. (ABC News) The heat index will feel like 100 degrees in the Midwest on Sunday afternoon. This stretch of heat shows little relief at night, especially in urban areas like Chicago and New York -- a classic sign of summer across the Midwest and Northeast. 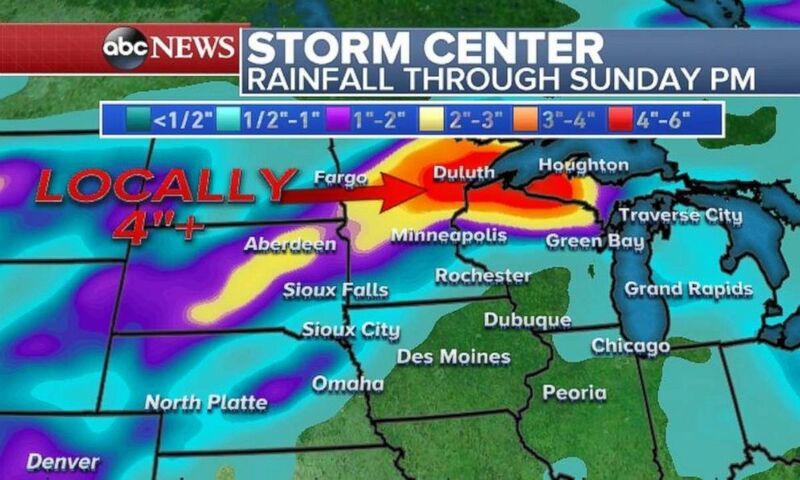 (ABC News) Heavy rainfall is expected in eastern Minnesota and northern Wisconsin this weekend. 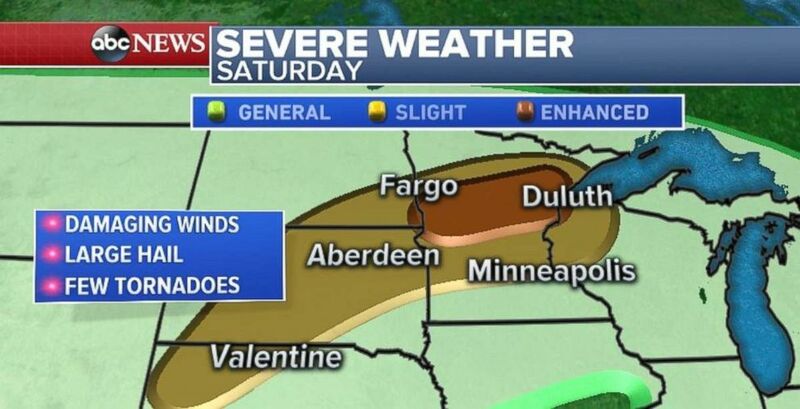 (ABC News) Damaging winds, hail and possibly even tornadoes are a threat for centeral Minnesota. 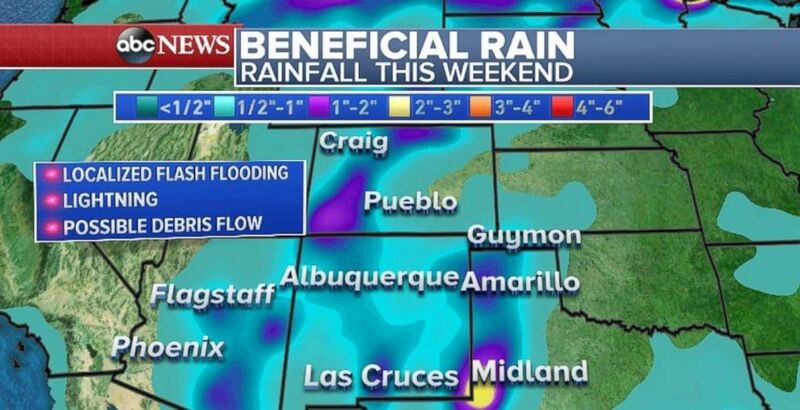 (ABC News) Much-needed rainfall is coming to the Southwest, but flash flooding is possible.